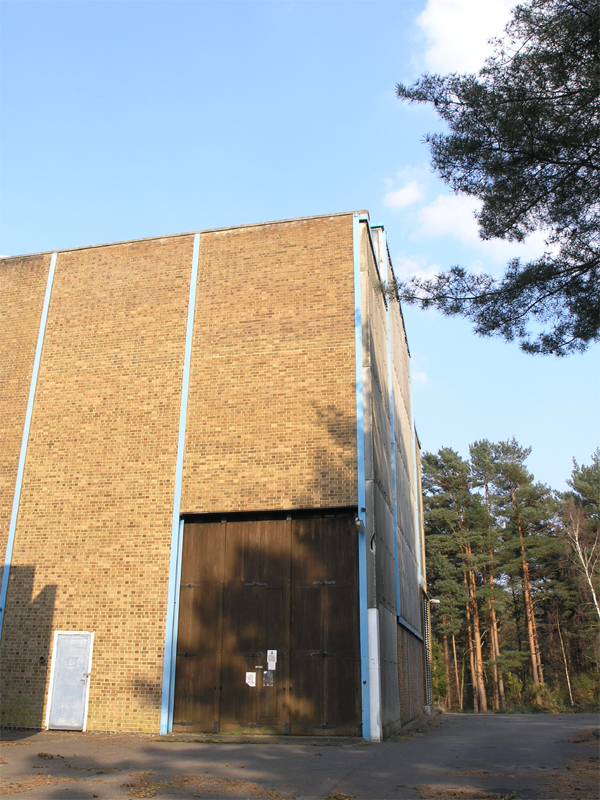 After moving around to the south, and back to the car park at the building's rear, these large locked doors can be found. These are the doors to the loading bay, where equipment would be loaded for installation or removal from the Power Station . The south west corner of the Power Station. The large door is the access to the loading bay.